Jesus and Buddha were separated by five hundred years, three thousand miles, and two drastically different cultures. Yet this trade paper edition of the highly acclaimed hardback juxtaposes passages from the New Testament and ancient Buddhist scriptures to illuminate the striking similarity between their lives, deeds, and teachings. 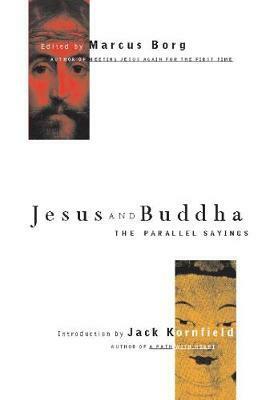 "An eloquent overview of the similarities between Christianity and Buddhism." Marcus Borg is the author of the best-selling Meeting Jesus Again for the First Time. He lives in Portland, OR. Jack Kornfield is the author of the best-selling Buddha's Little Instruction Book. He lives in Woodacre, CA.